Since opening in 1987, Gourmet Gourmet’s chef has developed a reputation for the freshest, most flavorful dishes. From delicate hors d’oeuvres to mouth watering desserts, every item is handmade in our kitchen. Our menus are custom designed and creatively presented to satisfy the tastes of every guest. And we’re not just food! Our experienced event coordinators will help with every detail of your party. Theme development, equipment and linen coordination, logistics and site planning, and menu tasting are value added benefits at Gourmet Gourmet. We provide trained and professional staff at every event. We have uniform and presentation guidelines, which are strictly adhered to. Gourmet Gourmet holds regular training sessions to insure friendly, efficient, and organized service. In today&apos;s corporate environment, entertaining can be quite complicated. At Gourmet Gourmet Catering, Inc. in Upland, California, we recognize the intricacies of corporate events and can assist you with every detail. From corporate picnics to formal galas, we will expertly build an event to dazzle your clients and make your visions come to life. We can also provide the advice, energy, and assistance you need to create the perfect wedding. Our consistent quality and superior performance has placed us at the top of many preferred vendors lists for Southern California weddings. We offer our brides professional assistance in selecting and securing the perfect location for ceremonies and receptions, whether it is a historical site, a breathtaking garden, or a private residence. Also, our wedding specialists listen to you and treat every single detail with the utmost attention, helping your wedding dreams to come true. If you are planning an anniversary, birthday, or graduation celebration, leave the planning to us. Whether it&apos;s a casual birthday by the pool or an elaborate wedding-anniversary party, we can turn any event into a complete and memorable success. 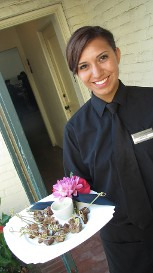 Our experienced event coordinators will help with every detail of your party. Theme development, equipment and linen coordination, logistics and site planning, are value added benefits to our clients. A fully licensed bartending service. Superb Cuisine - Food that is pleasing to the eye as well as the palate! Our chefs reputation has received the highest credibility throughout Southern California . At Gourmet Gourmet we not only offer catering services and event planning, we also feature a full inventory of party rental items. Our staff will offer you professional, cutting edge service, and boy, do we look sharp! Let us assist you with our 27 years of experience! From tabletop presentation, to personalized designer menus, you&apos;ll be sure to keep your guests talking! Whether you are planning a high profile corporate event, an enchanted wedding, or a casual gathering we can assist you with finding the perfect location. 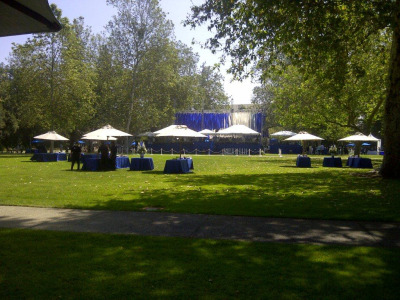 We are proud to serve the beautiful and unique Rancho Santa Ana Botanic Gardens in Claremont, as their exclusive caterer. We have served venues as diverse as Bridges Auditorium Pomona College, The Natural History Museum Los Angeles, Cable Airport Upland, Chaffey Chino Community Center to venues in Orange County. Upland, Claremont, Rancho Cucamonga, Ontario, Pomona, Riverside, Chino and Chino Hills, California. 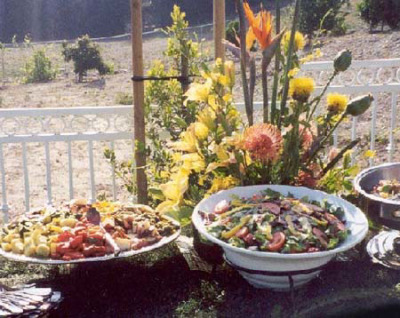 Visit Gourmet Gourmet Catering, Inc. in Upland, California, to meet our friendly staff and find out more about our catering services. 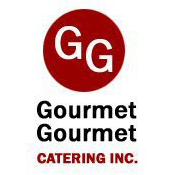 Reviews for Gourmet Gourmet Catering Inc.